Vanderpump Rules star Lala Kent has been a rollercoaster of emotions this season. One minute she’s smiling and performing her music. And the next minute she’s unleashed her inner rage onto Billie Lee, Raquel Leviss and James Kennedy. Where’s Lisa Rinna’s chill pill bag when you need it? Some Pump Rules cast members have had a ring side seat to Lala’s outbursts. Such as Brittany Cartwright who was there to calm her down during Billie’s brunch event at SUR. Others like Scheana Marie, haven’t seen the magnitude of the outbursts until now. 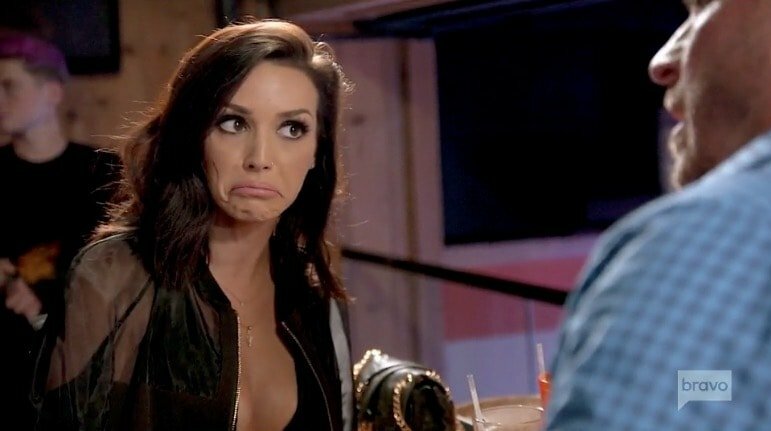 And of course, Scheana has some thoughts on the matter. In the early days of Vanderpump Rules, we met Scheana Shay. Back then she was known as the “homewrecker” who had naughty times with Brandi Glanville’s then-husband. But that was about five faces ago. 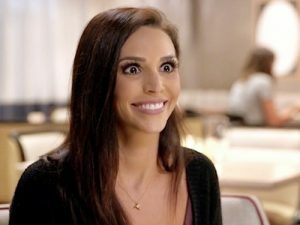 Scheana went from burgeoning pop princess, to wife, and then back to bunny boiling stalker single. 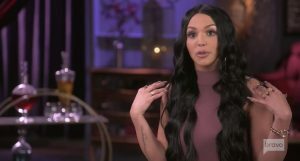 Viewers watched as her doomed marriage to Mike Shay fell apart amidst claims of substance abuse and living in Scheana’s shadow. During a tense conversation in the Season 5 reunion, Scheana obsessively checked her make-up while Shay was strung up for further public humiliation. It was relatively brutal to watch and many viewers didn’t blame Shay for living Valley of the Dolls retreating into his own world. Scheana had already moved on and we haven’t heard much from Shay since then. After such a nasty and public falling out, could these two former lovebirds ever find peace and closure after such a long term relationship? Thanks to Vanderpump Rules, the employees at SUR, Villa Blanca, Pump, and Tom Tom are the famous faces bringing in the tourists. Even so, there are plenty of celebrities that dine at those restaurants. Scheana Marie shared an anecdote about one of her favorite customers back when she worked at Villa Blanca: Drake. Yes, that Drake. The Vanderpump Rules viewers saw Scheana Marie’s marriage with Mike Shay from start to finish. Then she jumped right into a highly-talked-about relationship with Rob Valletta. Now there are rumors that she’s dating fellow SURver Adam Spott. Adding to that speculation are the many photos and videos of Scheana and Adam on social media. So are they dating? Are they just friends? Are they something in between? We probably won’t get any real answers to those questions until Vanderpump Rules returns for Season 7, but Scheana is answering questions about her relationship status. Even though there are 984848438 stars of Vanderpump Rules, a lot of the chatter centers around two people that aren’t even cast members: Scheana Marie’s ex-boyfriend Rob Valletta and Lala Kent’s man Randall Emmett. 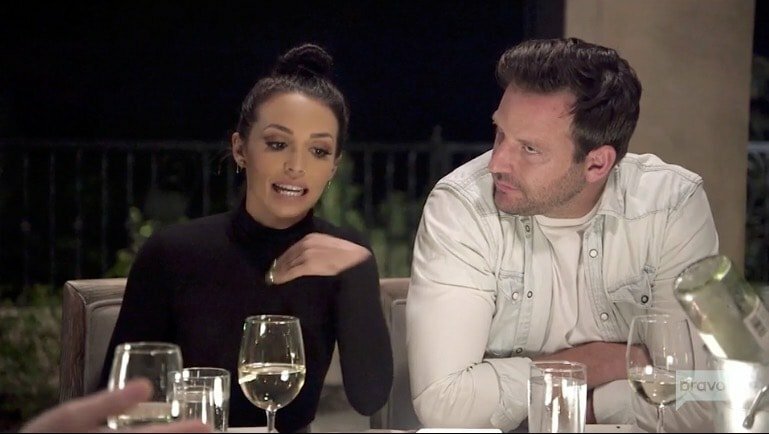 A lot of the conversation comes back to Rob since he was Scheana’s favorite thing to talk about all season long. Lala’s boyfriend has never even appeared on camera, yet he was a major part of Lala’s storylines for the past two seasons. Now the Vanderpump Rules cast members are sharing their opinions about their costars’ (current and former) significant others.